Fundraising has long been a staple of team sports. Especially now, as budgets get tighter, school teams, college teams, and youth leagues all could use a little extra money to support their athletes and give them a great playing experience. Uniforms are one cost that many teams are now offsetting with their fundraising efforts. Fans like to see players looking sharp on the field, players like to wear their favorite name brands and get the “pro” experience with a high-quality uniform, and coaches like uniforms that help their athletes stay comfortable and playing their best. Fundraising gives teams the power to purchase better uniforms than their budget would normally allow. Most coaches and players would agree it’s worth the effort, but not all team sports fundraisers are successful. Why not? Volunteers aren’t available. Teams often rely on volunteer parents and other supporters to sell t-shirts, baked goods, and other snacks to raise money before games and during halftime, but it can be frustrating for organizers to find volunteers to man the table for each game. Players want to focus on practice. Some players love helping their teams with fundraising, staffing weekend carwashes or caddying for golf tournaments. But, others would prefer to spend their time preparing for the big game. 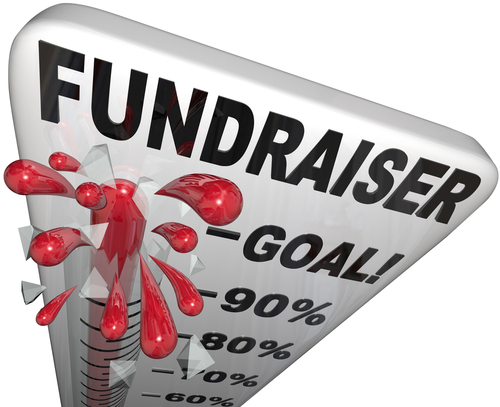 Supporters suffer from fundraising overload. How many team sports fundraisers go on during any given season? What about fundraisers for school plays, music programs, or scouting groups? It can be overwhelming. If your team is trying to raise money for newer or better uniforms, how can you make sure your fundraising efforts stand out from the rest? One opportunity hidden in plain sight to raise money for new team apparel is the apparel itself. Many of your team’s fans are willing to pay for the chance to wear the same gear your players wear on and off the field. You could sell it at games, in school, or even door to door, but you might run into the limitations identified above. You need a solution for selling branded team gear that doesn’t require a major volunteer commitment, doesn’t distract your players from practice, and offers an easier buying experience for community members. You can achieve all of that with an online team store. Online fan shops don’t require volunteers to run them and they’re always open, not just during the season. Partnered with the right provider, online shops offer a full selection of styles, sizes, and personalization options. If your school is partnered with a team dealer, your dealer should be able to set up an online fan shop for you and provide you options for sharing the revenue, either taking it as cash or applying it towards your next team gear order. Typical arrangements with leading team dealers provide 10 percent of sales back to the organization. Look for providers that can set you up with an online team store that’s open year-round and has no minimum purchase requirements or inventory risk for your school. Saving money by making money with online fundraising is a great way to stretch your team or league’s budget for uniforms and apparel. If you’re looking for a few more ideas, download our free guide, “Cost Reduction Methods: A Guide for Reducing the Cost of Team Sports Gear, Apparel, and Uniforms,” using the image below. It’s for coaches, athletic directors, equipment managers, parents, and anyone else involved with planning a team or league budget.